Note: while anyone can view the newsletters emails and all of the content, some of the linked content in the newsletters is directed to complete, detailed articles in the Premium Members section and are only accessible to Premium Members. Not a member? A good press can quickly produce back-court turnovers, steals and easy baskets for your team. So it is an offensive weapon as such, and a way to come from behind, or a way to break open a close game, and a way to wear down a slower, less well-conditioned opponent. It may help nullify the opponent's "bigs", who may labor to get up and down the floor. You can turn the game into a "track meet", rather than a slow-down game that favors the opponent's big post players. The press keeps the opponent off-balance, changes the tempo of the game, and often has the opponent doing things they don't normally like to do. It often forces the opposing coach to use valuable time-outs. It favors a well-conditioned team with a deep bench, and with more substitutions, allows more of your players to get playing time. A fair amount of practice time is required to develop a good, cohesive press. Also, remember that any press is a gamble (especially trapping defenses). You risk giving up the easy transition lay-up, and you have to be willing to accept that fact. If your players are not well-conditioned, fatigue can become a factor. Your players may be more apt to foul and get into foul trouble, so a good bench is very valuable in this regard as well as the fatigue issue. But you might want to press only in certain situations (e.g. after a made basket), or certain times of the game, as a "surprise" tactic. "I've recently had the opportunity of downloading Stat Tracker to my iPad and trying it out while watching some games on TV. This is a great program and a great way to do your stats using either an iPad or Android device... sure beats paper and pencil! I found the program very easy to use and intuitive, easy to learn. It's easy to enter your team rosters and make substitutions on the fly. Keep your shot charts, rebounds, steals, assists and all the other important stats that you like to chart. Stat Tracker keeps a running retrievable tally of all stats throughout the game. Everything is totaled for you, by period and for the game. You can export and email the stats to anyone. If you have an iPad or Android device, I think you will find the Basketball Stat Tracker a great way to do your stats... and pretty hard to beat for just $5.99!" ... Coach Gels. A number of new articles have been added this Fall. These links go to articles in the Premium Members section. Not a member? Join now! Dave Robbins Circle Defense... review of the DVD and discussion and diagrams of the Circle zone defense. Notes on John Wooden's UCLA Offense... review of the DVD/book and discussion of the High-Post and the High-Low offenses. Keys to Becoming a Great Player... roles, training, intelligence, and determination - by Kyle Ohman. Mobile-Ready! Free for Premium Members and Non-Members! Take the Coach's Clipboard with you anywhere... in the gym, locker-room, on the bus, etc. The Coach's Clipboard Premium Members section and video clips are now available in a mobile format, for your iPhone or other smartphone. You can't get it as an "App" in the iTunes App Store just yet, but it's free. Premium Members just use your usual members username and password to login. Note: the Non-Members site is limited in scope compared to the members section. Dr. James Naismith invented the game in 1891 in Springfield, Massachusetts at Springfield College. He was a Presbyterian minister (but never preached)... and a doctor (but never practiced medicine)... and an educator and physical education teacher... and a basketball coach. He invented basketball for fun, as a simple physical education activity... not something to be serious about! He said often, "Basketball is just a game to play. 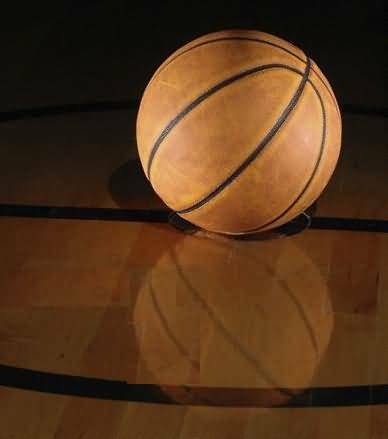 It doesn't need a coach... you don't coach basketball, you just play it." Nevertheless, he became basketball coach at Kansas in 1900. The first baskets were not peach baskets as the story often goes, but were vegetable baskets nailed to the railing of an elevated circular running track, which just happened to be about 9 or 10 feet high.